Free income tax preparation and electronic filing for low or moderate income taxpayers of any age. You do not have to be an AARP member for this service! Help is available at The Grove, 1195 E Main St. For more information, call AARP at 1.888.227.7669. Wednesday, March 6, 2 to 3:30 p.m.
FREE, but registration is required. To register, please call 541.488.5342 or Email. Open to all skill levelssNo experience required. Young at Art will be making Christmas cards this month, to send holiday cheer to Meals on Wheels recipients, and for you to take home! This class is FREE and all supplies will be provided. Come join the fun! Space is limited so first come, first served. Free blood pressure clinics are held bi-weekly at the Ashland Senior Center. Stop on by; no appointment necessary! Wednesday, March 20, 5:30 to 7 p.m. This support group meets every third Wednesday of the month, at the Ashland Senior Center. For more information, contact the Alzheimer's Association at 1.800.272.3900 or visit their website alz.org. 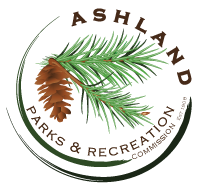 Offer your feedback on aquatics in Ashland. Join Master Recyclers Heidi and Paulette and other volunteers for this free clothing repair event. They bring the sewing machines, needles, thread, buttons and you bring CLEAN clothing that needs mending (no alterations or zippers please). This idea based on the "Repair Cafes" in Holland and Sweden. Repair SO occurs regularly on the 4th Monday of the month, excluding holidays. Wednesday, March 27, 1 to 2:30 p.m. Please join Cheri L. Elson of Drescher Elson Sperber, P.C. as she discusses the importance of estate planning for people of any income level, and of keeping your plan up-to-date as you experience life transitions. She will look closely at the components that make up a comprehensive estate plan and clearly define the terms used. She will also examine how a good estate plan may also help your quality of life during your own lifetime.